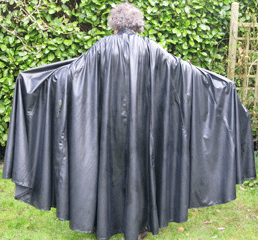 Man's full-length latex cape with mandarin collar. 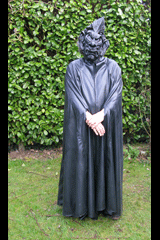 Collar has an additional buckle fastening. 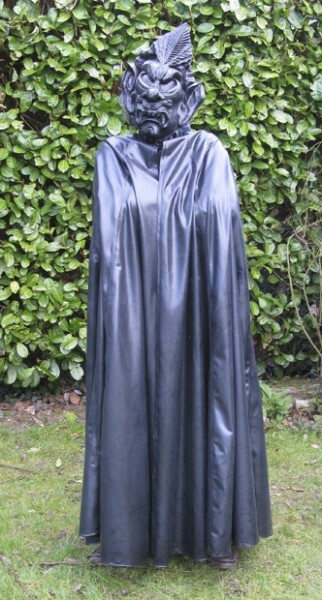 Cape has hand slits. Length 59 inches (150cms). Amply cut.